We’ve talked before about how useful foam is in getting things done. It’s one of the most reliable and versatile packaging materials out there, it’s recyclable and it’s great for your operation’s bottom line. But did you know that certain types of foam have some unique uses? Let’s take a closer look at foam rolls and see just how interesting their applications have become. Packaging foam is a great alternative to bubble cushion and packing paper. Its non-abrasive material is ideal for protecting glassware, mirrored surfaces and electronic screens. Its ability to wrap around any form will keep oddly-shaped items like jewelry and vases from having unprotected areas. 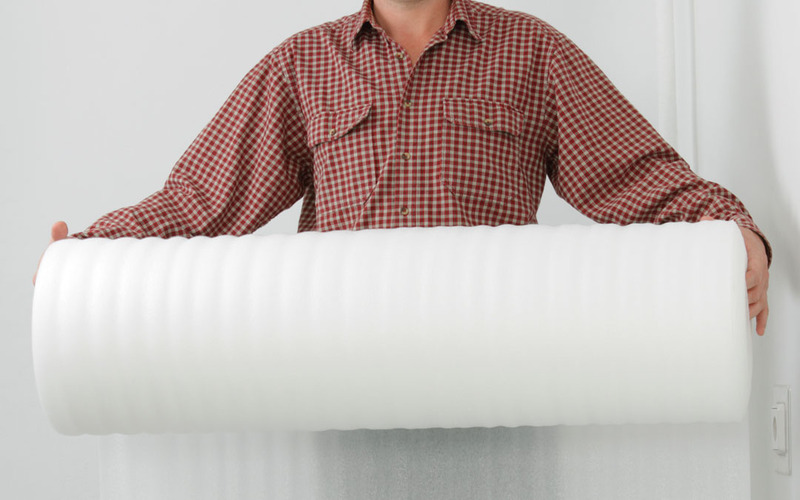 Packaging foam typically comes in large rolls, but can be cut into any size or length needed. Some foam rolls even come perforated for easy tearing! In addition to being non-abrasive, foam can also have a non-slip surface. This makes it a great choice for when you’re packing up and moving. You can layer foam sheets between plates, trays and anything that must not rub against anything else. As if that wasn’t enough, anti-static properties make it perfect for protecting electronics or components from static charge. Are you laying down hardwood or laminate flooring in your home? Flooring foam, also called foam underlay, is placed between the sub-floor and your actual floor to provide a cushioned barrier. The foam rolls out smoothly and can be easily cut to the length, size or shape needed to fit the area. Depending on your house’s location and what room it’s for, you’ll want to choose an appropriate thickness for your foam underlay. We’re sure you’ll agree that foam rolls are an incredibly versatile and useful packaging material. Here at The Packaging Company, we’ve got the foam—and all its packaging cousins—you’ll need to wrap things up, no matter the project.